triannual torrential. | wull hay. March 27, 2012 March 28, 2012 / rach. Things have been up and down and beautiful and sleepy and tough and smiley. “It is better to keep your mouth shut and appear stupid than to open it and remove all doubt.” – Mark Twain. Should I be keeping my mouth shut more? 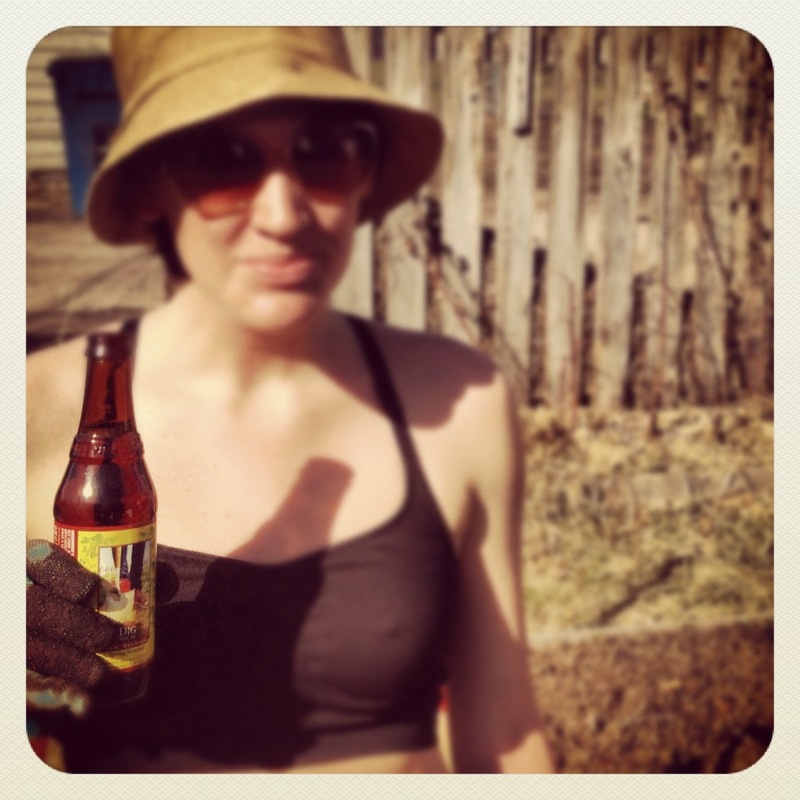 I worked in the garden the other day for the first time… in… well… ever. ‘Twas a blast. Especially with some Dig beer by New Belgium. My new trend is to drink beers themed after my favorite activities. Case in point. – THEY DON’T COUNT IF THEY’RE ON THE SAME DAY! You just have to have a good cry every once in a while. The other day, I showed up to spin class early. A woman was on the bike next to me and we were warming up. Those bikes are really close… uncomfortably close. I noticed that I kinda smelled bad… repeat work-out clothes… whoops. – Thank god that smell is finally starting to go away. – Oh, sorry, that was probably me. – That smell… it’s me… sorry. – What? No, they painted in here last week. – Ohhhhhhhkay… yes, the paint. THAT smell… THANK GOD it’s gone! Oh, also, I think “The Skin I Live In” is the best movie I’ve seen by far thus far in 2012.
act a fool., bikes., holler., not okay., things i'm not good at that i do anyway., travels., tunes., where i work. ← my legs are sore. I miss your blogs when you keep your mouth shut…but I don’t comment as much for the same reason. 500?! That ‘s awesome! Congrats on keeping up such a wonderfully personal extension of yourself.